I earned my B.A. in Psychology at Sonoma State University in 2011. I am currently working towards my Master of Science in Counseling with a specialization in Clinical Child/School Psychology and Pupil Personnel Services Credential at California State University, East Bay. 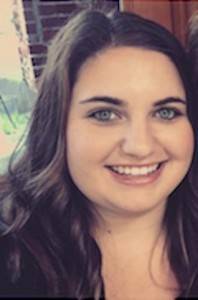 Prior to beginning graduate school, I worked as a Mental Health Counselor, providing behavior and academic support to children and adolescents with severe social, emotional, and behavioral challenges. 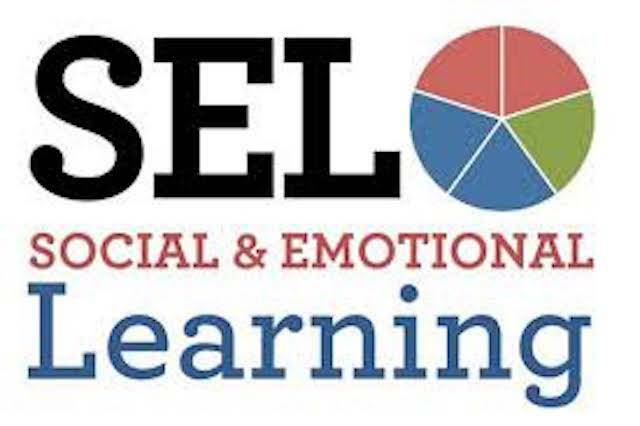 Social-emotional learning (SEL) has a positive impact on school climate and promotes academic, social, and emotional benefits for students (McKevitt, 2012). The purpose of this action research was to find whether instruction in social and emotional skills will help young students develop their social and emotional functioning in the classroom. This action research provides evidence regarding a classroom-based intervention promoting students’ self-awareness, social awareness, and responsible decision-making skills, while improving student attitudes and beliefs about self, others, and school as well as academic performance. The researcher conducted a 10-week intervention that focused on developing social-emotional skills. Research was conducted in three, second grade classrooms. Each of the participating second-grade classroom teachers assessed each student’s social-emotional skills before and after the intervention. The findings demonstrated that the social-emotional skills intervention was effective. Teachers perceived that their students enhanced their social and emotional functioning, increased their ability to solve conflicts with peers, and enhanced their ability to cope with challenges in the classroom. Teachers also rated students’ academic progress higher after the intervention, indicating that the intervention might have positively impacted both the students’ social-emotional and academic functioning. The elementary school’s enrollment was approximately 400 students (Asian: 42%, Hispanic: 25%, Filipino: 9%, White: 8%, 2 or more races: 8%, African American: 7%, Pacific Islander: 1%). The second-grade students aligned with the schools demographics. Roughly 35% of the students in the school were English Language learners and nearly half were economically disadvantaged (42%). School stakeholders, such as the principal, school psychologist, and resource teacher, identified lack of students’ social-emotional skills as an area of improvement. Specifically, students demonstrated challenges regulating their behaviors and emotions in social situations. The current action research tackled this problem with an intervention planned to improve social-emotional skills in second-grade students. Students often do not have an opportunity to learn social and emotional skills at school. With an emphasis on teaching students skills to build positive relationships with peers and teachers, social and emotional learning can be utilized as a strategy for schools to improve students’ ability to cope with frustrations and stressors. Durlak, Weissberg, Dymnicki, Taylor, and Schellinger’s (2011) meta-analysis of 213 studies of SEL in schools indicates that students receiving SEL instruction demonstrate better academic performance, improved attitudes and behaviors, and reduced emotional distress. Students demonstrated a greater motivation to learn, deeper commitment to school, and increased time devoted to schoolwork. Young children with SEL competencies participate more in the classroom, are more accepted by classmates and teachers, and are given more positive feedback by teachers (Zins, Bloodworth, Weissberg, & Walberg, 2007). As more and more children in schools exhibit mental health concerns and behavior difficulties, addressing their needs is a critical role of school psychologists (McKevitt, 2012). By enhancing students’ social skills and creating environments that foster learning, SEL interventions indirectly promote better academic performance as students are more connected to their schools (McKevitt, 2012). Informed by these studies, this action research was designed to determine whether an intervention utilizing Strong Start would improve students’ social and emotional functioning in classrooms. The researcher predicted that with instruction in social and emotional skills, second-grade students would show growth in their social and emotional skills. Changes before and after the intervention were measured by teacher ratings. Participants. Participants included 74 second-grade students in three classes, with parental consent. There were 24 students in Class 1, 25 in Class 2, and 25 in Class 3. Ages ranged from 6 to 8 years. Materials. The Strong Start program (Whitcomb, Parisi Damico, & Walker, 2016) was used for the social-emotional skills intervention. The study included 10 sessions utilizing the lessons outlined below. Each lesson focused on specific social-emotional skills for students to learn and practice. Understanding Other People’s Feelings – identifying others’ feelings. Solving People Problems – problem solving with others. To assess the changes in students’ social-emotional functions, a questionnaire was developed. There were four questions: (1) The student has overall good social and emotional functioning; (2) The student is able to successfully solve conflicts with peers; (3) The student is able to cope with challenges in the classroom; (4) I am pleased with the student’s overall academic functioning. Teachers rated each student in their classroom on each item using a 5-point Likert scale from strongly disagree (0) to strongly agree (4). Procedure. The researcher implemented Strong Start, a 10-week social-emotional learning curriculum, as a universal Tier 1 intervention in three, second grade classrooms. Each lesson was implemented for approximately 35 minutes, once a week, for 10 weeks, utilizing 10 topics of Strong Start described above. The questionnaire was administered to participating teachers before and after the intervention. Teachers rated each student. Results from pre- and post-questionnaire scores indicated that students improved their social-emotional functioning (see PowerPoint presentation under Project Learning Media). Students in each class were rated by their teachers consistently higher on average after the intervention in each of the four questionnaire items. The results were not only statistically significant, all ps < .0005, but also practically significant, with large effect sizes (eta-squared) ranging from .34 to .51. Follow-up tests on each questionnaire item were examined with all three classes combined. For Item 1, The student has overall good social and emotional functioning, the mean post-intervention score (M = 3.26; SD = 0.99) was higher than that of pre-intervention score (M = 2.50; SD = 0.99), p < .0005, eta-squared = .49. For Item 2 (student’s ability to solve conflicts with peers), the mean post-intervention score (M = 3.15; SD = 1.00) was again higher than that of pre-intervention score (M = 2.50; SD = 0.97), p < .0005, eta-squared = .43. Item 3 (student’s ability to cope with challenges in the classroom) showed a similar result, with the mean post-intervention score (M = 3.23; SD = 0.96) was higher than that of pre-intervention score (M = 2.58; SD = 1.07), p < .0005, eta-squared = .45. Item 4 regards students’ overall academic progress. The mean post-intervention score (M = 3.22; SD = 1.15) was again higher than that of pre-intervention score (M = 2.58; SD = 1.18), p < .0005, eta-squared = .34. The findings demonstrated that the social-emotional skills intervention was effective as measured by teachers’ ratings. Teachers perceived that their students enhanced social and emotional functioning, increased ability to solve conflicts with peers, and enhanced ability to cope with challenges in the classroom, indicating that Strong Start lessons might have provided students with tools to increase their social-emotional skills. Teachers also rated students’ academic progress higher after the intervention, indicating that Strong Start lessons might have positively impacted students’ academics. These results are consistent with previous findings (e.g., Durlak et al., 2011). This implies that a social and emotional learning curriculum can have promising results in schools. It would be interesting to keep track of long-term effects of the intervention and to include students’ academic performance scores in future research. The researcher shared the findings with school stakeholders. McKevitt, B. C. (2012). School psychologists’ knowledge and use of evidence-based, social-emotional learning interventions. Contemporary School Psychology, 16, 33-.45. Whitcomb, S., & Parisi Damico, D. (2016). Strong Start. Baltimore, MD: Brookes. Zins, J. E., Bloodworth, M. R., Weissberg, R. P., & Walberg, H. J. (2007). The Scientific Base Linking Social and Emotional Learning to School Success. Journal of Educational & Psychological Consultation, 17, 191-210.